The US Treasury and The Ad Council have joined forces to present us with Bad Credit Hotel, today’s site of the day: controlyourcredit.gov. It’s part of a campaign designed to encourage young adults between the ages of 18 and 24 to take control of their credit and personal finances. Bad Credit Hotel is an interactive experience designed to help Americans work through the hassles associated with debt and credit history. 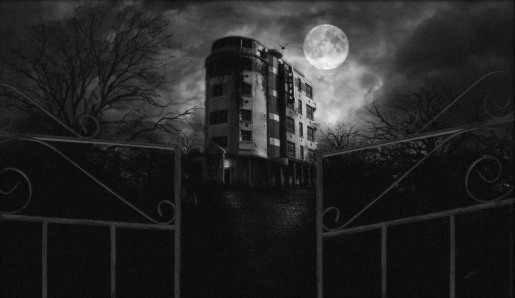 The site is a blend of 3D and HD video, mimicing the classic black and white film noir of the 1950s. Spend time in the lobby getting advice on managing debt, Visit the library for information on accessing credit history, including one of the two PSA TV commercials from the campaign. Listen to one of the Radio PSAs and work out the real cost of credit in Room 205 but watch out for the bed bugs. The goal is to get to Room 850, the only room in the hotel to be experienced in colour. 850 is a reference to credit rating. The Control Your Credit campaign was developed pro bono at Lowe, New York, by chief creative officer Mark Wnek, managing director: interactive Matt Picheny, creatives Simon Bowden and Chateau Bezerra and Bryan Johnson, production manager Jeremy Gelade, interactive producer Peter Tierney, and HTML site designer Programmer Patrick Batey. Digital and video production were done at Firstborn by creative director Joonyong Park, senior producer Avery Holden, lead developer Jens Fischer, art director Maria Wei Wang, 3D designer Marcus Schaefer, motion designers Michael Kuzmich, Max Holdaway and Susanna Averpil. Sound was designed at SoundMind Productions.